2m Micro HDMI to HDMI Cable. Connect your tablet to your TV with this 2m micro HDMI cable. Connectors: HDMI male type A to HDMI micro HDMI male type D.
Connect your tablet to your TV via HDMI. 1.5m Micro HDMI Cable. Connect your tablet to your TV with this 1.5m micro HDMI to HDMI cable. Connectors: HDMI male type A to HDMI micro HDMI male type D. HDMI high speed with Ethernet certified. 4k x 2k Resolution Support. 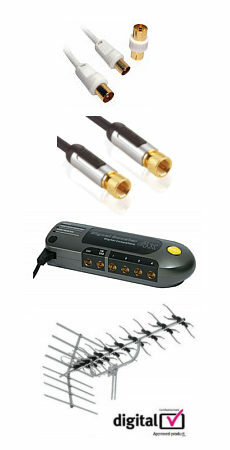 Supports Audio Return Channel. Supports 3D over HDMI. CE Approved. RoHS Approved. 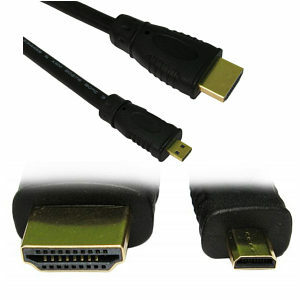 5m Micro HDMI to HDMI Cable. Connect your tablet to your TV with this 5m micro HDMI cable. Connectors: HDMI male type A to HDMI micro HDMI male type D. HDMI high speed Certified 4k x 2k Resolution Support. Supports Audio Return Channel. Supports 3D over HDMI. CE Approved. RoHS Approved.